The integrated malware protection, known as Windows Defender in Windows 10, has come a long way over the years. In the latest version, there is a hidden gem that can protect your computer from annoying junk software that users are tricked into installing. I see this all the time when users download and install Java from Oracle. Oracle bundles the Ask.com browser toolbar with their installation of Java for Windows. Unsuspecting users can easily miss a tiny check box that must be unchecked during setup to avoid ending up with this annoying browser toolbar when Java is installed. Microsoft calls these apps potentially unwanted applications or PUA. Windows Defender can detect and remove these annoying programs from your PC by turning on this hidden setting. There are two way to turn on potentially unwanted application protection in Windows Defender on Windows 10. The easiest way is to download this registry file and import it by double clicking it. If you want to disable PUA simply download and import this file. Click on the Start Button, type in regedit and hit Enter. Right click on Windows Defender and select New and then Key. Name the new sub-key MpEngine and hit enter. You can skip this step if your PC already has a MpEngine sub-key. Right click on MPEngine and select New and then DWORD. Name the new DWORD MpEnablePus and set the value to 1. If you want to disable, set the value to 0. Restart your PC and you are done. 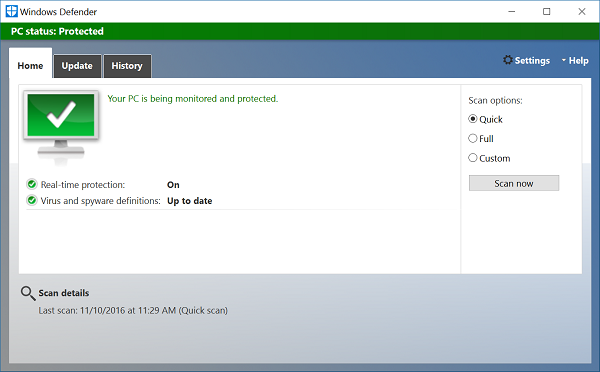 The next time Windows Defender scans your PC if any potentially unwanted software is found, you will see the item listed with a “PUA” prefix in the results list. In the event you come across a false positive, you can submit the sample to Microsoft via this link to help make the service more intelligent.